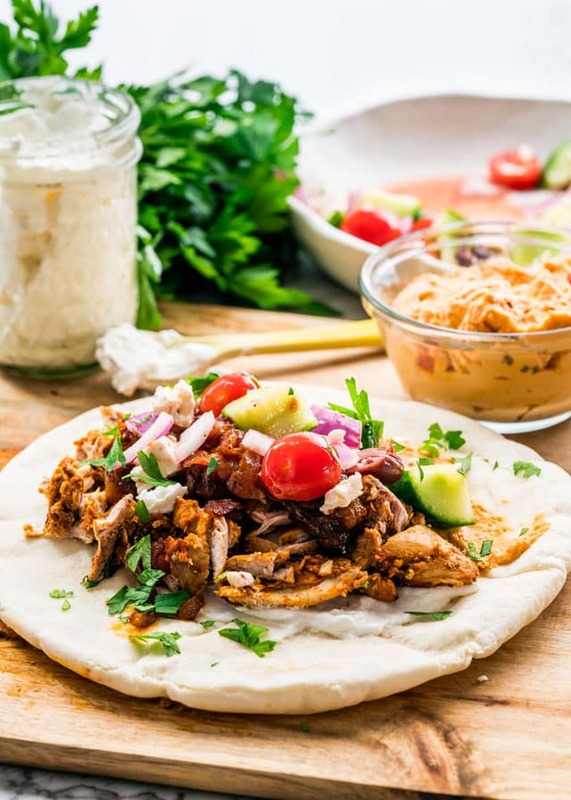 This Instant Pot Chicken Shawarma will blow your mind! 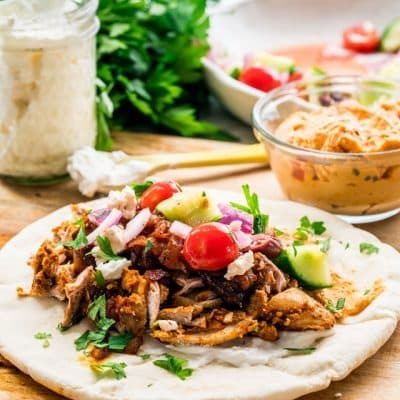 Try my easy and popular chicken shawarma recipe now in an instant pot with an amazing garlic sauce. Better than takeout and ready in no time. A couple years ago I shared with you my oven roasted chicken shawarma recipe and since then it’s become one of my most popular recipes on the blog. I’m so glad you guys love it so much, because it really is one of my favorite recipes and it’s one that I make often. 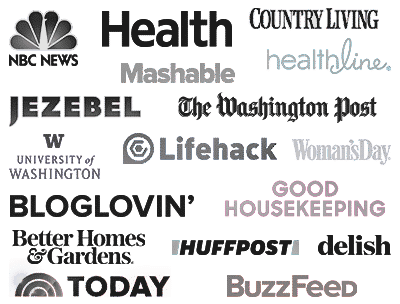 Since I bought my instant pot and started sharing some instant pot recipes with you, many of you have written to me and asked for a chicken shawarma recipe in the instant pot so here it is. Let me just say this chicken really is the bomb. It’s so good, it’s better than takeout and best of all it only takes 8 minutes in the instant pot. 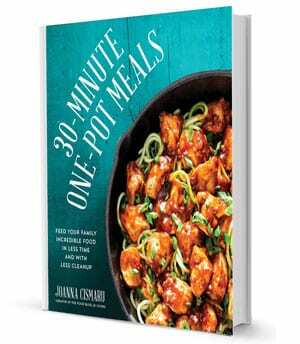 Once again here I am telling you how much I love this instant pot. Why? Because it’s like 7 pots in one. That’s why. You can throw away your slow cooker, throw away your pressure cooker, rice cooker, you name it, this pot will do it all. Which is why I’m in love with it. 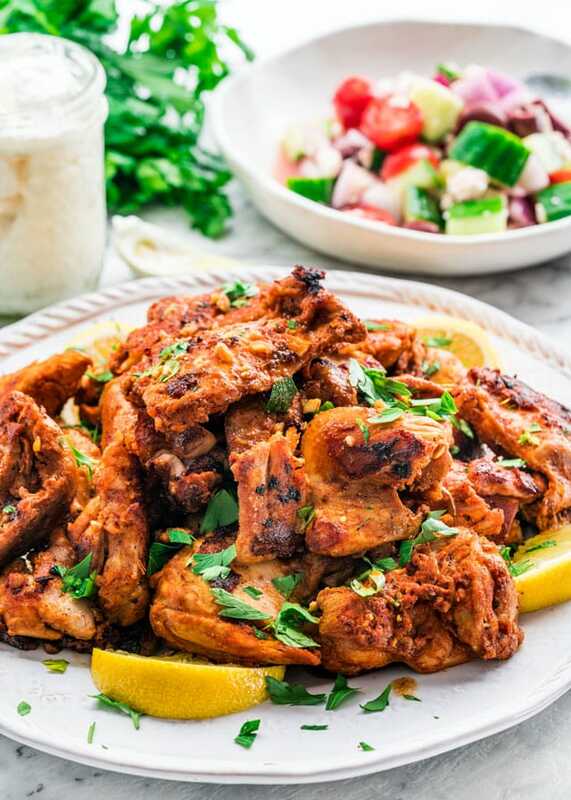 In the original oven roasted chicken shawarma recipe that I shared with you, I used chicken breast and since then many of you have asked me if we can use chicken thighs. YES! Absolutely 100% YES. And I have a little confession to make. I actually prefer the chicken thighs. Of course, I’d go with skinless boneless chicken thighs, but the meat comes out juicier, and not only that but I prefer dark meat over white meat. I did add an extra step to this recipe, and it’s totally optional, however I think it’s so worth the extra effort. After the chicken was done cooking in the instant pot, I seared the meat in a skillet with a bit of olive oil over medium-high heat, just until the chicken browns a bit and this way you get some nice crispy chicken, just like the one you get from your favorite local shawarma place. I do have to say though, if you do try the garlic sauce, it really is delicious. It’s like a very garlicky and lemony mayonnaise and it goes heavenly with this chicken. I also love to serve this chicken with either tabbouleh salad, Greek salad, and lots of hummus. I hope you try this recipe because the smells in your kitchen will knock your socks off. Whether you try this Instant Pot version or the oven roasted version, I’m sure you’ll love it, but as usual I love to hear your thoughts! Add the olive oil, lemon juice, paprika, turmeric, cumin, cinnamon, red pepper flakes, garlic, pepper, salt and onions to a ziploc bag, then add the chicken thighs. Seal the bag and shake it well to mix the ingredients. Place the bag in the refrigerator and marinate for at least 1 hour. The flavours develop better the longer you leave them. Transfer the chicken into your Instant Pot. Mix to ensure even coverage. Close the lid (follow the manufacturer's guide for instructions on how to close the instant pot lid). Set the Instant Pot to the Manual setting and set the timer to 8 minutes on high pressure. Once the Instant Pot cycle is complete, wait until the natural release cycle is complete, should take about 15 minutes. Follow the manufacturer's guide for quick release, if in a rush. Carefully unlock and remove the lid from the instant pot. Remove the chicken using a slotted spoon. Heat the olive oil in a large skillet over medium-high heat. Add the chicken thighs to the skillet and sear them for about 1 to 2 minutes per side just until they start to brown. You may have to do this in a couple batches. This step is optional if you want to get a crispier chicken. Add all the ingredients to a blender and blend until smooth, about 1-2 minutes. Refrigerate leftover sauce. 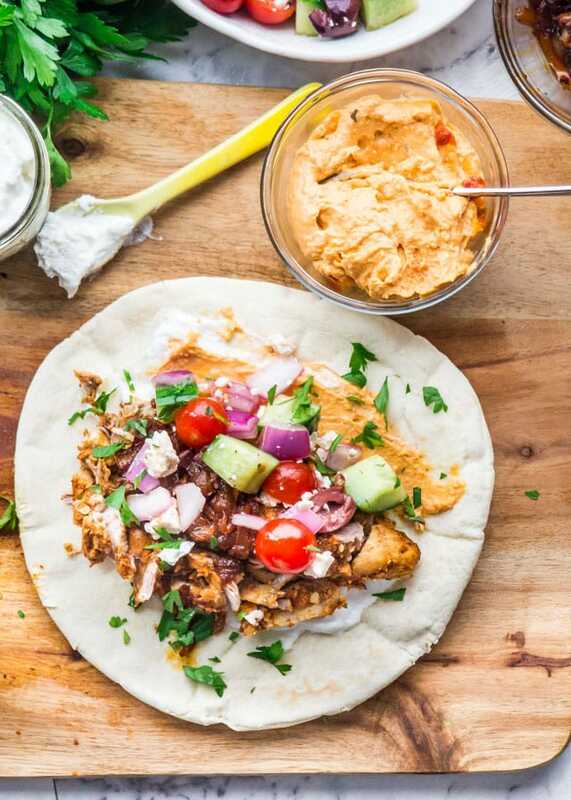 To assemble the chicken shawarma wraps, warm up the pitas for 20 seconds to soften them. Spread a tbsp each of garlic sauce and hummus over the middle of the pita. Top with chicken, greek salad, garnish with parsley, and more sauce if desired. Note: In the video I forgot to add the onion to the marinade, so we ended up caramelizing some onion in some of the liquid left in the instant pot after the chicken was done. Chicken breast can also be used instead of the thighs with the same cooking time. 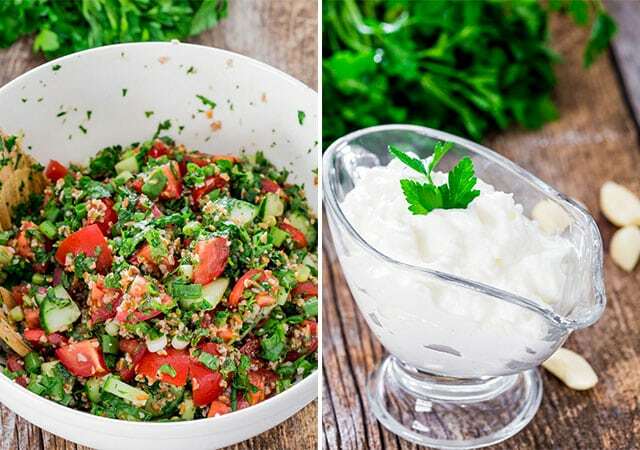 * If you are unsure whether or not you want to consume raw egg white because of risk of Salmonella in raw eggs which can cause food poisoning, make a different type of sauce with just yogurt, garlic, lemon juice and salt. However, the risk of an egg being contaminated from raw egg is quite low. This used to be a problem over 20 years ago, but since then improvements have been made in the processing of eggs, leading to fewer Salmonella cases. You can also omit the raw egg white, just add the oil little by little to the blender until it thickens and should have the consistency of mayonnaise. Total time include time required to marinate the chicken and the time required for the Instant pot to start and release pressure. This was very good! I will definitely make it again! The garlic sauce was so yummy! I’m happy you enjoyed it! 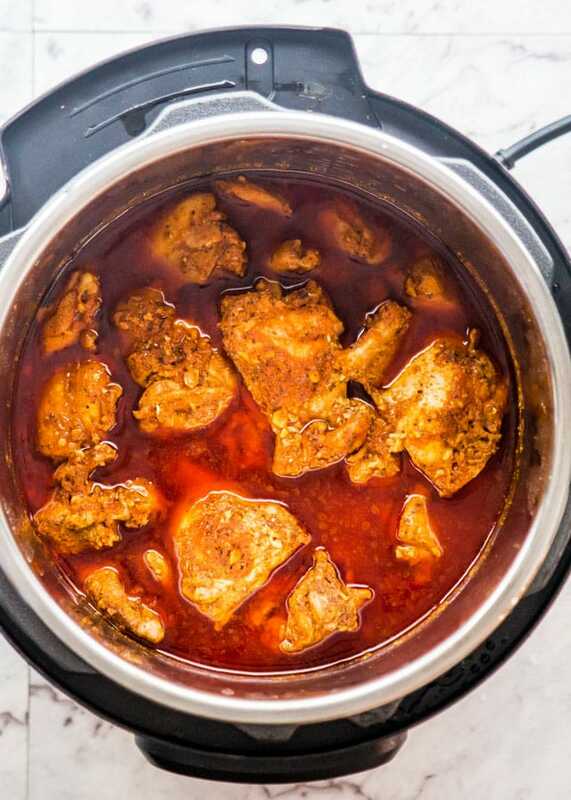 Do add any liquid in the Instant Pot when cooking the chicken? There’s enough liquid in the marinade, especially as it heats and bubbles up while your IP comes to pressure. You can add 1/2 cup chicken broth if you’d like!